Priced at £65 for a set of 4 brushes, the HAAS collection is a top end choice for riders wanting the ultimate in brush tech for their horses. Made in Germany, the HAAS website explains that many of their brushes now use specially selected synthetic materials as the basis for all brushes and combs. You may think this lessens the quality and makes them feel a little ‘plastic’ but by using synthetics their brushes can offer better hygiene (as all products are washable), increased reliability and longevity, comfortable handling (they all have a hand strap like a body brush), water resistance, retention of bristles and a stronger build quality. Looks wise, I couldn’t tell the difference between these brushes and some of my natural ones and they were certainly easy to use. So you like the sound of HAAS and would like to buy some yourself? There are 3 UK stockists which are listed here. I purchased my set of HAAS brushes from Eqclusive who offered a prompt service and the brushes came in a really smart black card box – very luxurious! They are also the only supplier who sells sets of 4 brushes – a new inititative and a fantastic idea! If you order from Eqclusive in July and use the code JULY all UK orders will receive free shipping and orders above £100 will receive a tub of Equinox. You can watch the HAAS promo video here and read more from their website here They literally do brushes for every need, an amazing collection in many sizes, colours and bristle types. HAAS is also on Facebook… @haasbuersten and if you have any questions about my experience of the brushes send me a message. Happy grooming & enjoy your horses! A long, long time ago, in a past life, I used to teach art, and make a lot of my own work too. I was quite successful, with pieces in the permanent collection at the V&A and in various private and public collections across the world. I loved it… but it’s a hard career to keep going. You need time… studio and research time to keep the ideas developing. With teaching to earn a living and then having kids and a family to look after I fell out of love with making ‘stuff’. I wasn’t prepared to make generic work that was just a re-hash of what I’d always made. I have a rather belligerent streak that won’t accept anything but the best. So I literally sold off my works, gave away a most of my materials and stopped being an artist (can you stop being an artist?). Either way I didn’t feel I had the time to make art anymore. Horses filled the creative and time void and I got to where I am today, a writing horse owner with 3 kids. My kids love art, we make stuff, but I rarely do much beyond domestic alterations and the odd drawing. But tonight a few months ago decided to start making something. It’s for my new home, totally domestic and a bit of a marathon task. I’m making a rag rug. Its huge, its tweedy! I don’t even know if I have the patience to finish it. But as I sat there my mind was made up. I’m in for the long haul. I know that making things is really good for my mind and I get a clarity of thought when I’m working away. I was thinking about making a rag rug and working with horses. To start, its hands on, requires an amount of dexterity, knowledge or the ability to work with someone that can impart the knowledge required. But what else is similar? Well there is the time factor, the amount of time invested and how ever hard you try, you can’t make something like a rag rug in a hurried way. It is a slow and thoughtful activity. Its seems in the equine world there are a lot of riders who seem to be in quite a hurry to achieve an end goal. Maybe it’s this mad rush to feel ‘ready’ for the start of the season, to feel like you are ‘progressing’, getting value from all the time and money invested? Sometimes it seems that everyone is off doing this clinic and that clinic, with multiple trainers, at various venues. Spending a lot of time and money and being very ‘busy’ with their riding. A good thing maybe? Well it pays trainer’s wages and I would never dispute putting the hours in. But it feels to me like fast tracking? A little like the pass your test in 5-days driving school? Is there another way? Everyone has their own approaches but the more I ride, the more I think that maybe training, learning, improving and goal setting needs to be long term, and subtle not short term. Like the bloody huge rag rug which I hope one day to complete, we all sometimes need to step back, enjoy the ride and slow down. I have had and still work with some brilliant trainers. I love the wisdom they impart and the time they selflessly give to help me refine and improve my performance. But I also believe it’s important to take the time to work out things on your own. That wonky arm, the un-level seat, the swinging quarters, the inconsistent contact, the fear of jumping. You can pick your poison… we all have one. I honestly think many of these things can be ‘corrected’ by a great trainer, but they also need homework to get them 100% right. I suppose I’d call it taking responsibility for your own learning and ‘feel’. My most recent discovery has been that I can learn more hacking than in the school – discovered because we don’t have a school at our new farm – so via default I guess. I think being out in the open makes me more aware of my own and my horse’s straightness, and I have a couple of hours to suss out what I want to be feeling, not the frustration of going round and round in circles, literally. Everyone has their own ways of working, I’m usually running at warp speed x 10000. But I can’t keep it up. I wonder sometimes if our horses feel the same. They need time too to not only build the strength to perform but also the mental agility to cope with the demands of travel and competing or training. Maybe it’s time for us all to slow down, just a shade, and enjoy what we have. Think long term and not short, appreciate how fortunate we are and enjoy the ride while we can. Think and dream big but appreciate the little steps along the way, bank them in your memory and celebrate them. Just like children growing up, it can all be over in a flash. Enjoy what your horses and enjoy the freedom of riding them. For those that can are very blessed. Over the past few years there has been a surge of technical stirrups new to the market. From the very popular Sprenger Bow Balance (from £160) to the lightweight metal, and very popular Jin Stirrups (from £125), and recently the ‘safety’, ergonomic option FreeJump. With prices over £100 to the £200 mark these are big investments and loved by a pro’s and amateur riders alike. The latest offering from FreeJump is the Safety Soft’Up Premium Pro Stirrup. But just how good are they and are they worth the extra spend? FreeJump Safety Soft’Up Pro adult stirrups are the latest innovation in safety stirrups. They have a bendy plastic arm which will stop your foot getting trapped however, if you get really stuck (for example in a fall) the arm will snap away completely if the right amount of pressure is applied. Should the stirrup snap in a fall FreeJump will replace the stirrup free of charge. The stirrup is strengthened with steel and the foot grip is wider and thicker than usual which makes for a more comfortable ride, it also has a slight angle to help give you the perfect position. If you lose your stirrup during riding, it is specially designed to swing back to you. I purchased a pair of FreeJump Soft Up Lite stirrups for my son at the start of the year. He is only 8 so I went for the slightly less expensive and smaller children’s style. I actually managed to grab a virtually new pair on EBay for less than half price (the full price is £145) – bargain! The SOFT’UP LITE by FreeJump is inspired by the SOFT’UP PRO but reduced in size for younger riders. I wouldn’t normally splash cash on things like stirrups. But was prompted after Henry fell off several times and got his food stuck in his traditional elasticated safety stirrups. He has found his FreeJumps have really helped this issue – and I have seen the safety mechanism work very well in real life when a particularly naughty pony bolted with him! The outer side of the stirrup is made from notched plastic so bends open should his foot get caught in a fall and in my opinion the style of the stirrup looks tidier than an elastic sided or bent stirrup. Henry has found the secure grip on the tread helps him maintain a good foot position in the stirrup (he rarely loses a stirrup now). I’ve also noticed that this section of the stirrup is generally broader so he puts more weight through his feet and ankle. In my opinion his lower leg is more stable, more often than not in the correct position and looks more balanced than before. This is likely to be due to the design of the stirrup and the 45° angled eye at the top of the stirrup. Henry likes the way you can clip the stirrups on and off the leathers to clean or change them to a different saddle. He has mentioned, without me prompting him, that they feel more comfortable, are easier to ride in and feel safe. I think they have been an asset to his riding from a safety, and balance perspective. As a parent I have been very impressed with their safety, styling and ease of use / care. Well worth considering for the young rider. These stirrups accommodate a shoe size of up to UK size 6, the 10.7cm width fits soles not exceeding 10.2cm, so very petite adults might get away with a children’s pair! Available in Black, Brown, blue, pink, yellow and red, from £145. The new edition ones have metal plates on the outside that can be interchanged and customised with national flags and other designs. With Henry getting on so well I decided to treat myself to some FreeJump Soft Up Pro’s (RRP £215) but splashed the cash and purchased the new silver styled Premium version (£230). I wanted to see really how good they were, but as anyone working to a budget understands, I was a little worried I’d just spent a fortune on something that wouldn’t benefit my riding, apart from looking smart. Overall the adult version of Soft’Ups are larger, with bigger grips on the tread and built to take a heavier rider. They are much more weighted than the children’s versions which is an asset. They have a very distinctive design and incorporate all of the features of the children’s style. So they look great, have loads of features to make them feel comfortable, help you to gain a better position and grip, but do they work? The answer is a resounding yes! It took a while to work out how to attach them to my traditional stirrup leathers, but they were easy to clip on and off. Immediately my feet and lower leg felt very secure. I noticed this getting on my mare who often won’t stand still when I mount. The wider tread helps your balance in these situations, as it does when you have sudden spooking at kamikaze pigeons and pheasants out on a hack! For riding long distances, I found the stirrups gave a nice balanced feel, I particularly liked them for canter work on the gallops (I felt less tired in my legs and ankles). Although I haven’t gone cross country in them I think they would provide a really solid, balanced feel. When jumping I have found the Soft’Ups great. I think my leg sits in a more natural, unforced position, that is very stable, leaving my knees freer and soft. The grip is excellent and it would take a lot to lose a stirrup unintentionally. Overall the FreeJump Soft Up Pro’s are a large investment for the amateur rider, but are easy to change from saddle to saddle so can be used with multiple horses. The colours add a fun, team colour element to their styling and I wold be tempted to buy a red pair for XC. The new silver professional range style gives a more traditional colour, but with the FreeJump contemporary design these are most definitely stirrups for the 21st century. I wondered if they would be worth the extra spend but have found they really do live up to the manufacturers claims and in that sense offer something different to the market, that can help support your riding in a variety of disciplines. The FreeJump stirrups can be used with any stirrup leather and boot. Four seasons in one weekend… Belton had it all… literally! I was lucky enough to spend 2 days at one of my favourite events, Belton, last weekend. Despite having to battle with a flurry of snow on Saturday morning the organisers yet again put on an amazing event, which is really growing every year. Set in beautiful parkland, with a majestic stone stately home nearly always in view, this is a real spectators event and on Sunday cars were still teeming into the event long after lunchtime. The cross country course, designed by Captain Mark Phillips, once again was up to height at all levels and tested both horse and rider in terms of their athleticism and ability to adjust stride length through the combinations and links of fences on course. It was interesting to see how his course designs developed from Novice up to Advanced, sometimes with similar, but smaller fences; with slightly easier lines at Novice. By clustering fences mid – way on the course, providing a Lycetts sponsorship area and café, with yet more combinations of fences the other side of this, spectators were provided with a great space to sit, enjoy a drink and take in the action. I think this approach makes eventing spectator and family friendly and I hope to see this idea at other major competitions as it really seemed to pay off, particularly as the weather on Sunday was glorious. The CIC 3* and Advanced sections were showcases of International eventing at its best with a worldwide collection of nationalities in the top 5 of the Lycetts sponsored Grantham Cup CIC 3*. USA’s Christopher Burton and Mrs Sue Lawson and Carolyn and Anthony Townsend’s 10 year old Nobilis 18 took the top spot and with it the second leg of the Shearwater Insurance Tri Star Grand Slam with an impressive 34.50. France’s Thomas Carlile also added nothing to his dressage score of 38.40 to finish a close second with Quiro Hoy. Germany’s Bettina Hoy completed the top three with her ride Seigneur Medicott who rolled an unfortunate pole in the show jumping costing her second place. The Polly Phillipps Memorial Trophy, awarded to the highest placed British rider in the Grantham Cup not eligible to wear a senior flag, was awarded to local favourite Ros Canter and her mother’s Zenshera who finished on 57.50 adding just 10.80 Cross Country time penalties to their dressage score. Classic Moet and her partner, New Zealand’s Jonelle Price claimed top spot in Advanced section M followed closely by Britain’s Laura Collett and Cooley Again, with Oliver Townend and mount Samuel Thomas II coming a close 3rd. Completing his Belton Advanced 1, 2, 3 Oliver took 1st place in Advanced section O with Dunbeau and 2nd with ODT Ghareeb. 3rd place was taken by crowd favourite Andrew Nicholson and Perfect Stranger. As expected, I spent a while checking out the range of over 100 trade stands. It was great to catch up with the team from Noble Outfitters, who I work quite closely with in my day job (to view some of the lovely pieces we sell click here) . They will soon be announcing some exciting news about a new Nobel Rider… so watch this space for news! I was also keen to see the new belts on offer at Dalton’s. . They have taken polo belt style, but updated and refined their designs into off the peg or bespoke team colour belts, keyrings, dog collars and leads. All of Dalton’s products are designed and individually manufactured by the founder of the company Emma Louise. The also stock classic snaffle and plain leather belts. Beautifully made and classic designs, they offer a slightly different take on the usual polo belt designs and are British made too! I’m now lusting after a black and white belt in my team colours – another add to the wish list! Recipy had a beautiful stand filled with some high end and luxurious combinations of leather, tweed, silk satin and fur. These fabrics have been featured by many other designers but I feel Reipy has the style edge for those wanting something just a little different, ladylike and eye-catching, with a great attention to detail. I spoke to Sarah Pickering – Paterson, Recipy’s design director who told me about her MA in fashion and how the collection was developed from this. Featured in the likes of Tatler, and British made, Recipy is great for town, country and would look amazing on the catwalk that is the first horse inspection. Another fashion and style conscious brand, Voltaire Design, were exhibiting at Belton. After having a sit on one of their bespoke dressage saddles I was interested in finding out more. Taking to their UK sports saddle specialist Mathieu Tireau it was great to hear just how much the design house takes into account when designing bespoke saddles. Voltaire Design relies on the long French tradition of saddle making. Interestingly they are the first saddle maker to get help from the fashion industry in terms of the design of their products. I particularly loved the distinctive blue gullet that flashed beneath their saddles. This is certainly saddle design for the 21st century and in hand with this goes their strong environmental values, unique to this brand. Speaking to Mathieu it is clear that their design ethos puts a horse’s comfort at the forefront of design and they work very closely to ensure that the back and shoulder is allowed freedom through the wide gullet and specially manufactured tree. So refreshing to see a design house that puts this first, while also enabling riders to gain the maximum comfort and support when riding in their chosen discipline. Obviously this doesn’t come cheap, but then nor does the endless quest to find the perfect fitting saddle. A definite add to my growing wish list and a brand worth checking out ‘in the flesh’ if you are in the market for a new saddle. With shopping a plenty and more eventing action than any fan could want, Belton International is shaping up to be one of the best spring events in the UK. With plenty to keep non horsey family entertained, loads of room on course to spectate, and a select range of trade stands I will definitely be going back for a busman’s holiday next year! Are you a SMART Showjumper? I have been a fan of WoofWear boots for a long time after trialling their Smart overreach boots and XC boots. They always offer a stylish, practical and hard wearing option for riders across the disciplines and at all levels. New to their range, released through stockists and online in December 2015 is the new Smart Show Jumping range. 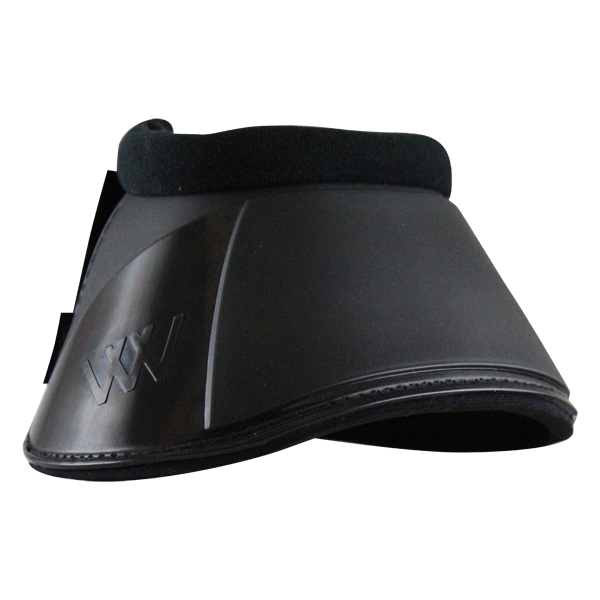 Designed to absorb high speed impact, these contemporary looking tendon and fetlock boots are soft and flexible. 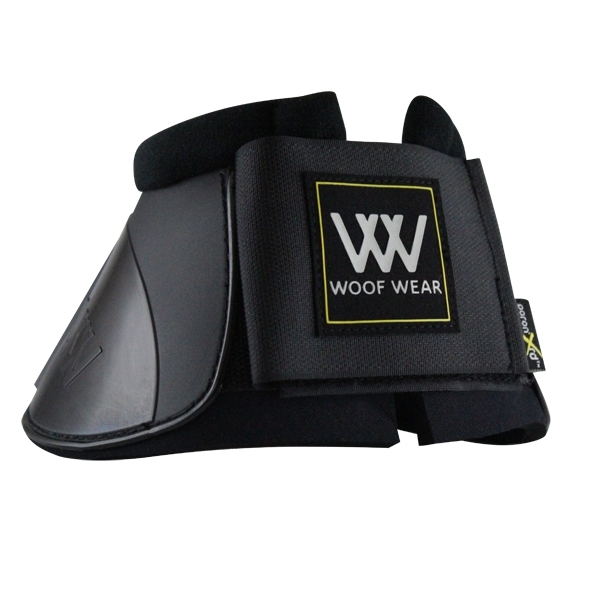 Incorporating Woof Wear’s smart technology, the D3O® offers ‘protection on demand’ (basically if the materials are struck with force they strengthen molecularly to protect your horse’s legs even more). The boots are lightweight and stylish, hardwearing and functional with the durability expected from Woof Wear’s range. Designed primarily for Show Jumping but suitable for a range of disciplines. Something I will be looking out to buy for winter Show Jumping and the start of the season in 2016. I haven’t visited Hickstead as a competitor for many years but in my youth I was lucky enough to jump a round in the international arena. I feel privileged to have had this experience – scary as it was. Until you have ridden up the tunnel and felt the ‘buzz’ it’s hard to explain… Hickstead is a very special and magical place. 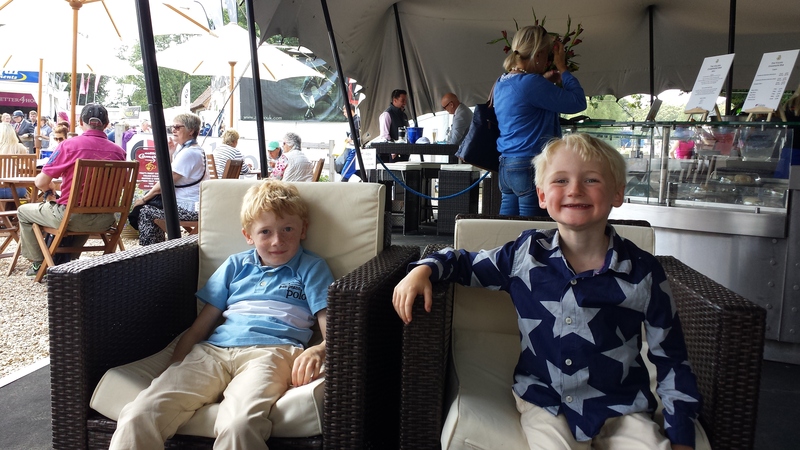 As guests of Petplan Equine I was lucky enough to re visit for the Longines Royal International Horse Show a couple of weeks ago. 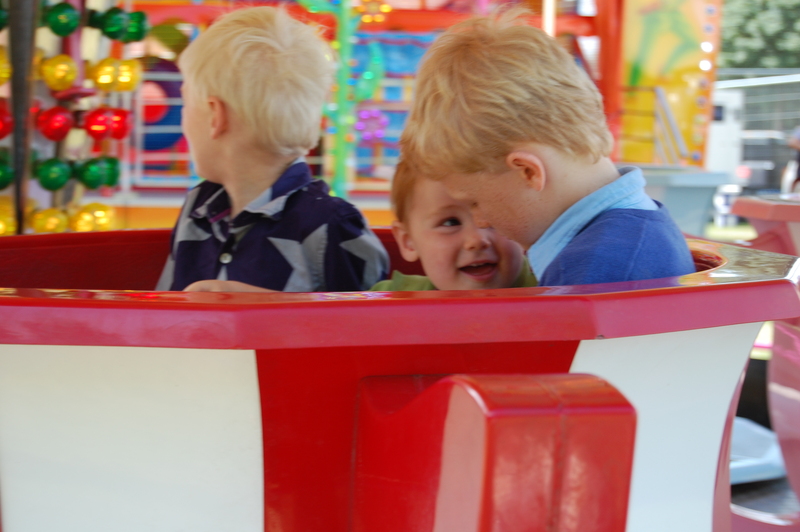 As my children are mad keen riders I brought them along for the experience, and the car was buzzing with excitement as we drove into the car park at the Sussex based showground. We couldn’t have chosen more perfect weather… with glorious sunshine Hickstead’s freshly painted showjumps gleamed and sparkled amid the perfectly manicured grass that makes up the International arena. Hickstead always offers some great spaces to watch the action, from the main grandstands to ringside where you always get a sense of the scale of fences that form the premier classes. Not for the fainthearted and my oldest son bravely reassured me that he might be jumping there one day (we will wait and see Henry!). Watching ringside or popping down to the warm up area nearby gives you a real sense of the athleticism of these amazing equines. As an eventer, it’s always fascinating to compare and contrast approached to warm up, kit and technique… even with three children in tow there is always time to learn. 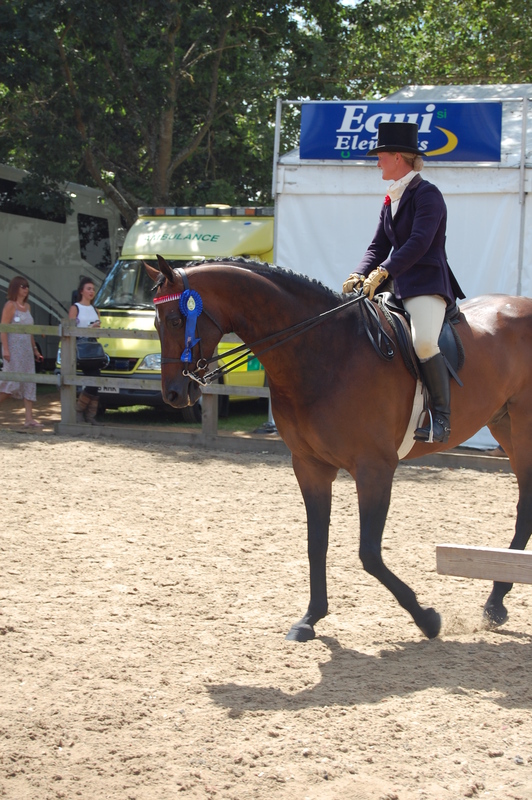 Alongside the pro and amateurs show jumping RIHS always hosts a range of championship showing classes. While we were there the miniature ponies went to championship in the main arena followed by the hacks that looked absolutely stunning. Again, it was great to see approaches to warm up and how the teams handled these immaculate looking animals. The site at Hickstead is massive so you could spend more than a day spectating. 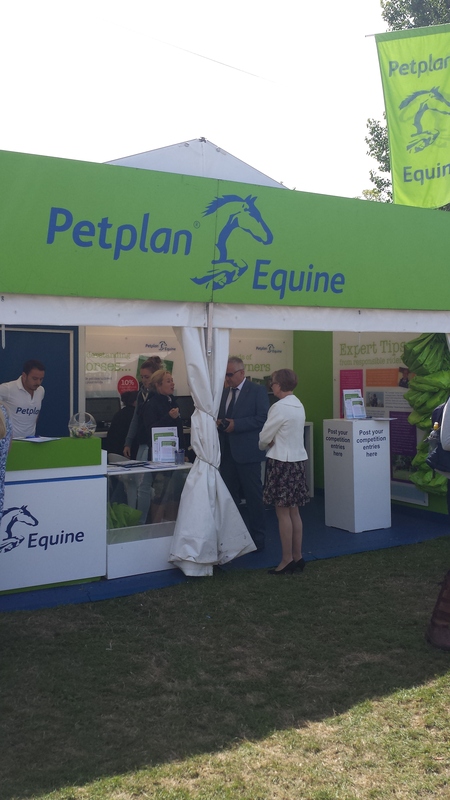 However, we were soon off to visit the PetPlan Equine trade stand to see how we faired in their new initiative the ‘Responsible Riders Quiz’. 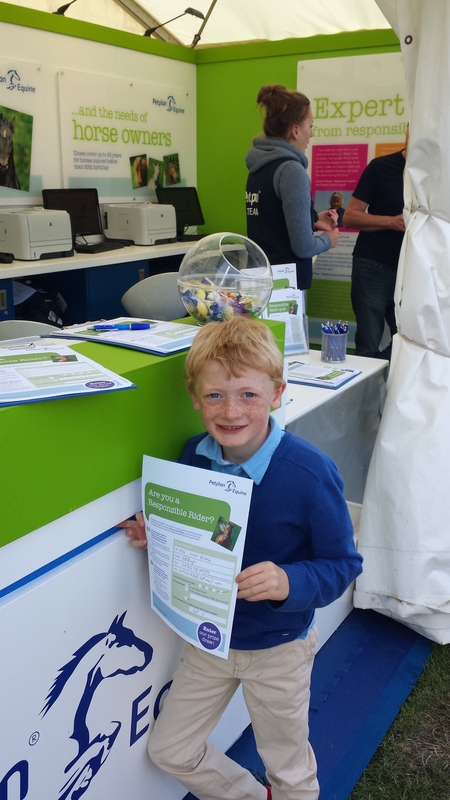 Henry, who is 7, decided to take the test himself… convinced that after one week of Pony Club Camp he would be able to answer all the questions. I was less convinced but in the interests of ‘education’ decided to let him have a go! Question 1. You bring your horse in from the field and he is walking slowly and looks uncomfortable. or Check his feet and legs for signs of injury and if you’re still concerned call the vet for advice? I shouldn’t have doubted that some of my constant pony care chat and the training at Pony Club hadn’t sunk in somewhere as Henry was full of correct answers. 14/14 – good work Henry! It was interesting to hear him make educated decisions about what he would do in different situations, although at 7 years old his understanding of what ‘insurance’ is was a little sketchy. As a prize Henry won a great Pet Plan goody bag with some really useful gifts and an insurance discount voucher which I will be using as I have been a Petplan Equine customer for quite a few years now. With the quiz complete it was time for lunch, Champagne in the sun and a spot of celeb spotting while shopping in the massive trade stand area. With all the top retailers to choose from I had to be restrained at one point from buying up the whole of Cavalleria Toskana which sells some of the best junior riding kit I have seen in a long while. Available in the UK only from www.fourseasons-equestrian.co.uk with dedicated men’s, women’s and children’s collections. Cavalleria Toskana features the latest in tech and edgy design but still as functional as you will get. With the last of our pennies spent on the children’s fun fair we finished out day with an evening in Brighton. Just a stone’s throw from Hickstead and again a wonderful family destination. A day full of memories, excitement, learning and fun. 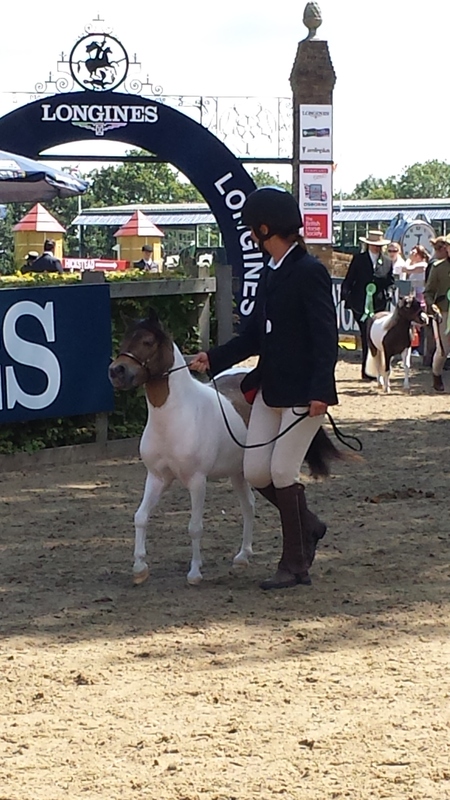 Massive thanks to Petplan Equine and the team at Hickstead for putting on such an amazing show. I can’t wait to see my brood tackle the famed Derby bank when they are older! This post has been possible thanks to Petplan Equine, but all thoughts are my own. For ages I’ve been on the lookout for overreach boots that actually protect and last more than a season’s worth of wear. I was lucky enough to test Woof Wear Smart Over Reach Boots and was pleasantly pleased with them after a string of overreach purchases that really didn’t come up to scratch. I compete on my horses in a mixture of affiliated dressage, show jumping and eventing so overreach boots are an essential piece of kit for everyday and competition use. As any horse owner knows, an overreach is one of those annoying injuries that causes a lot of soreness, despite sometimes being quite minimal. They are just something all of us would prefer to avoid. For this reason I prefer to use overreach boots as a precaution to this type of injury. For some time I have tried to source some overreach boots that work withstand the rigours of cross country, regular use and washing but would also stay in place and not spin. The Woof Wear boot utilises the technological material of Poron® Xrd™ foam in the key strike area. Upon impact the Poron Xrd foam stiffens to give added protection. The area surrounding the hoof wall is made from a material called PU which again is softer so the boots mould to the feet easily and protect the coronet band. Woof Wear wisely terms this technology ‘protection on demand’. Because of this high tech material the boots are lightweight and feel flexible so minimise rubbing on the horse. The beautifully cushioned neoprene lining and band at the top of the boot is soft enough not to rub but still offers protection. Inside the boots is an anti-spin nodule that rests in the cleft of the heel and prevents the boot from spinning. This works brilliantly and for the first time I noticed the boots didn’t spin, which was one of my criticisms of previous boot purchases. The boots have a stylish finish which looks high tech but is also subtle. They look protective before you’ve even put them on. One element I really appreciated was the quality of the fastenings and details such as the neat little leather loop at the end of the Velcro. This small feature makes the boots easy to fasten and undo after cross country when you may have muddy hands and boots. I trialled the boots when schooling and they fitted well and did their job. Woof Wear is very keen to promote correct fit and there is a useful video on their website. The boots should be fitted snugly, protect the heel bulbs but be too long so that they are pushed up when riding on deep surfaces. I would say that correct fit is essential with this product but it is easy to achieve in a range of fittings. As a final test I used the Smart Over reach boots on my horse for the SJ and XC phases of a BE100+ event. I was really pleased with their performance. They didn’t move but protected her, they also didn’t spin and I felt they wouldn’t be a trip hazard which has been the case for other designs. A final test was washing the boots. They lived up to expectations and looked like new after being washed with all my other cross country kit. They were quick to dry and use again. With most manufacturers producing an array of overreach boots to choose from it is tricky to make the right decision and end up with a product that ‘ticks all the boxes’. My horse literally has more pairs of boots than me… which says a lot and I’ve wasted money on boots that really don’t live up to claims or expectations. However, the Woof Wear Smart Over reach boots are a top class mixture of great design and technology that offer stylish protection for competition and home use. For the dressage divas they are also available with a sheepskin trim which again may be useful for a very sensitive horse. Price wise the boots aren’t bargain basement but for what they offer they are very fairly priced and great value when comparing the materials, design and tech to other brands. I would highly recommend the boots; they are a must for anyone wanting to protect their horses while not compromising on style. It’s led me to look at using other Woof Wear products, if they perform as well as the smart over reach boots I am a definite brand devotee! Our eventing season came to an abrupt end a couple of weekends ago as our lovely lorry suffered an electrical malfunction, which proved to be something more than I had realised and meant I wasn’t able to have my last run, and a Novice spin at Oasby. Disappointing times but I will come back next season raring to go and sometimes these things just happen. After a hectic couple of weeks of work, poorly children and general crazy times I’m quite glad to be sitting on the sofa for a few minutes before evening stables, having a little recollect over our season. It has flown by way too fast! Our season started indoors with great clears at JAS and JT 100 competitions. Not in the top ten but really pleasing style marks and really positive feedback at our first time running in these classes which Wanda loved jumping. We will be back next year and riding much faster! With a wet spring we only had time to XC school once before having an easy start at Iselham round the 90. We needed headlights for XC but came a credible 9th with time faults as I took things easy in the failing light. Isleham pulled out the stops and while other events were cancelled they ran on near perfect ground – such is the joy of well drained fenland! Next up was a wet Gt Witchingham, again spinning round the 90, frustrating time faults that knocked us out of the placings after a consistent double clear. The time issue was to be the focus of my season, at times frustrating but I’ve learnt so much by tackling this head on, getting the right advice and just kicking on. I have to thank my trainers and friends who have given me lots of invaluable advice. As I felt it was time to upgrade we had a run round Burnham Market 100 and produced a great double clear and 33 dressage and 1.6 XC time to come 8th. It really felt that we had learnt how to sort out our speed and I rode so confidently XC. Following this we went to Milton Keynes, again in the BE 100. Again a 33 dressage, one down SJ and clear XC but my nerves set in and we got 14 time faults. A real disappointment but as I’ve written in previous blogs, my personal stressed had a real impact on my confidence and ability to ride forward. This came to a head at Rockingham. I was second after the dressage on 30.5 and had awful nerves before the SJ. This was the first time I had been photographed by Lauren Causer, one of my sponsors and I really appreciated her kind words that day. I just wasn’t in the zone and decided to withdraw after having two show jumps down. Wanda felt flat and so did I. It was such a great event with a brilliantly built XC… we will be back in 2015. At that point in the season I called in the help of Jo Davies, a sports psychologist, who helped me with my anxiety and worries. She gave me some great tips to combatting performance nerves. My nerves nearly reared their ugly head at Little Downham BE100. 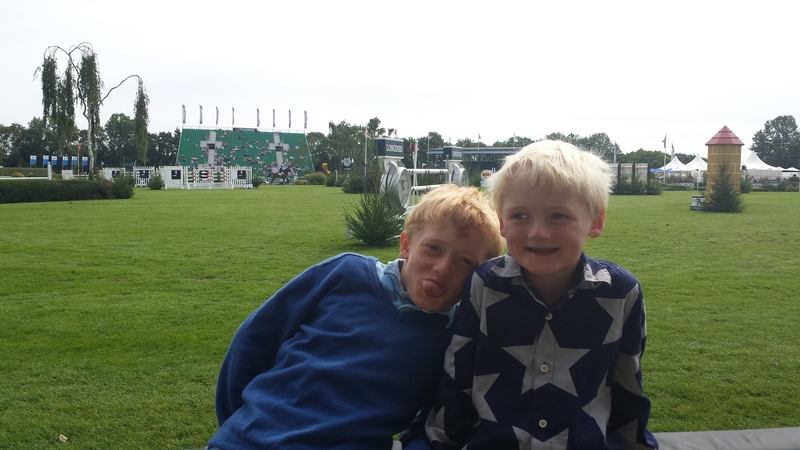 After a disappointing 35 dressage, 2 down SJ and SJ time I could have easily gone home! Thanks for my friend Hannah Galley who had come to support me and help out I did make it to the XC start box and set off. A really silly rider error stop was not what I needed to add to the cricket score but it made me so frustrated I then rode one of the best XC rounds I’ve ever ridden and came back understanding a lot more about what makes Wanda tick – essentially to just get on with it, let her use her neck and kick on! Mid-season I had a couple of XC schooling sessions with the lovely Bill Levett who really helped me learn how to get the best out of Wanda. I really did appreciate stepping up a gear at Calton, jumping some of the biggest hedges I think both of us had jumped before, and again Wanda making light work of it. A confident run at Buckminster followed with a 31 dressage, one down SJ and clear XC. Again the time faults crept back but I did feel like the jumping was getting easier and the whole day was great fun, wonderfully assisted by my friend Rosie Lloyd. At this point I had made a conscious decision to just go out and enjoy my eventing… it was a case of enjoy it or maybe look towards doing something else. I can safely say after this run although I was still getting nervous my ability to deal with anxiety and nerves was improving. Carlton followed, a rather poor dressage, show jumps down but clear XC. Frustratingly again not consistent in all phases but definitely getting used to preparing, warm ups, focus and trying to get the best out of Wanda. Sometimes eventing feels like spinning plates, this year more than ever, but I do think my knowledge and feel of how to keep all those plates up there has really developed. As has my XC riding. I’ve realised that as much as I enjoy dressage and love a good show jump, particularly over a technical course what really thrills me is a technical and bold XC course where I have to think fast and rely on my instinct to get the best out of Wanda and have a really rhythmic round. It’s quite an art and only one that can be achieved with miles on the clock. This is something I feel I’ve really got to grips with this year. I have been very grateful to my trainer Val Gingell who has really got me working hard with exercises that make both myself and Wanda think, technical lines and forward riding, all on grass and in all weathers. In sum, some of the best training an eventer can have. I owe her a lot. She trained me as a junior rider over 20 years ago and has never given me poor advice. She really has been pivotal in my return to eventing – not least for recommending I went to view Wanda when I was struggling to try the right horse to event. We stepped down a level for the BE90 RF at Milton Keynes in August. I knew that it would more than likely be important to get a good dressage score and I really trained towards this with the help of the very patient Matt Cox. I don’t really know what happened that day. My test was consistent and accurate, some parts better than others. But I scored an awful 38. Very annoying and I felt it wasn’t that reflective of the test. The judge seemed stuck on 6’s and marked harshly across the board. It was equally frustrating as Wands jumped a foot perfect double clear. Another ‘if only’ moment and 2/3rds perfect. So no Badminton Grassroots for us, but a really fun day and again a re-affirmation of how much I love riding Wanda XC. To finish the season off I decided to do Burnham Market 100 again. I love the environment and course building there so thought I’d give it another bash. Sadly I was subject to a really nasty chest and sinus infection (aka the Burghley Flu) which went on to last for 5 weeks and two courses of antibiotics… then spread to the rest of the family. On the whole I don’t like to withdraw from events unless I really have to but there was no way I could have driven for 2 hours to compete on my own. Frustrating but the right thing to do. Which led me to Little Downham, back to my local event to try a 100+. It was a delight to learn a Novice dressage test – at last something to ride. I was really lucky to be helped by my friend Fiona Reddick who gave me a great judge’s perspective on riding that test. I have to say I was getting paranoid about my dressage ability – Wanda is always consistent and things went a little askew this season. The test rode so well to sit in 3rd with a score of 33. I had taken a lot of time to break down the test and knew it inside out. I also think I had started to gain my core strength back and now I’m riding with a lot more strength. In addition, I’ve had the amazing support from a new sponsor Stephanie Pittam from Cambridge Equine Osteopath who has been treating both me and Wanda. It has helped both of us no end and more importantly I am starting to iron out unlevelness which has been really problematic for some time. I have been really lucky throughout the season to be supported by the team at Forelock and Load who have been superb cheerleaders and always ensuring we look so smart. Lauren from Lens Vanity Photography has been amazing, capturing some classic eventing moments that are a delight to re-live. Sarah Skillin from Equiexcel has been an amazing support, helping me develop my website and integrating the social media within it. More recently Hawkins Organic has been supplying us with superb naturally sourced grooming products which are always a real treat to use. On top of all of this I’ve launched a new project www.thebituk.co.uk . The Bit UK is a country and equine lifestyle and fashion online magazine. Our little team have been thrilled with the success of this site, already being featured in our web hosts global marketing campaign and receiving over ten thousand hits per month. I digress from the main theme of this blog… the eventing! I think 2014 has been the year that I discovered that I never really forgot how to ride XC, I just needed mileage and to have the balls to kick on. I have confirmed what an honest little horse Wanda is and the braver I get, the bolder she becomes. I firmly believe that we have a really solid working partnership now and will undoubtedly be able to get all those plates up and spinning in 2015. I’ve also got a couple of other exciting projects in the pipeline so next year is destined to be full on and very fun! At this point I’d like to thank all my family who support my passion. My children for their well wishes before I leave to compete and understanding when I am away competing, my partner for very rarely complaining about the long days and early starts, my parents for helping me fund everything from bedding to feed and upkeep of our lovely farm. 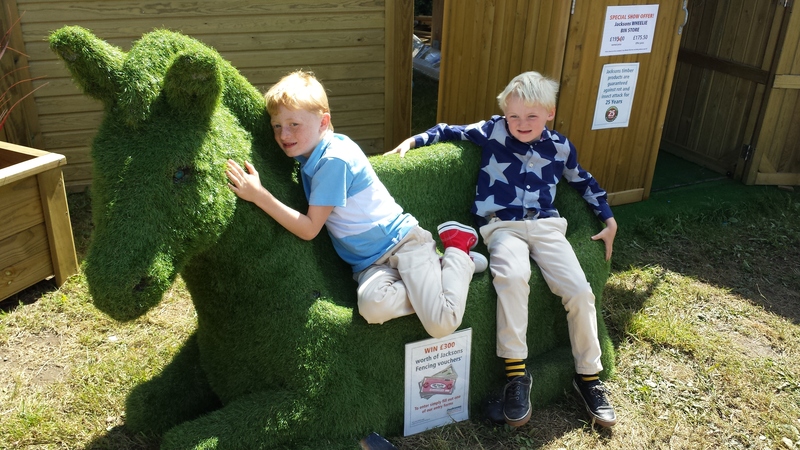 A special mention to my friends who come along and support or groom, again you know who you are and I appreciate every minute of help – its so hard to get out eventing when you have kids so any help is very much appreciated. Most importantly I want to give Wanda the biggest pat possible. She has helped me turn my life around. Without her my life would certainly be different, maybe less hectic, but not as fulfilled as it is today.